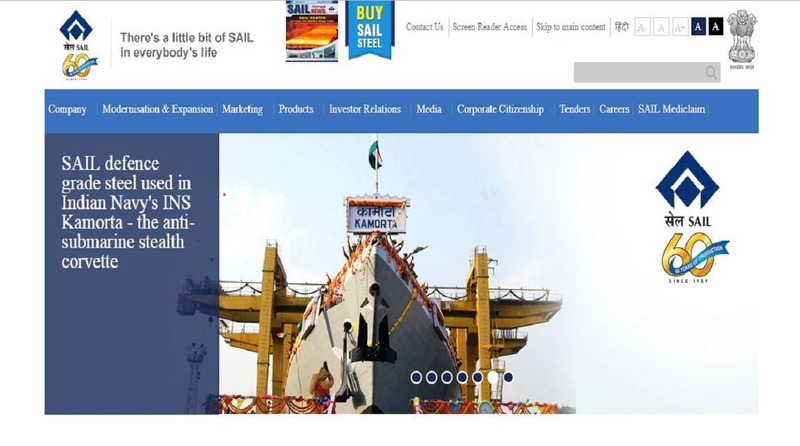 SAIL recruitment 2019: Interested candidates should apply online on the official website by February 9, 2019. SAIL recruitment 2019: Steel Authority of India Limited has released a notification inviting applications for various posts. Interested candidates should apply online on the official website by February 9, 2019. • Interested candidates should read the official notification for academic qualification. interested candidates should be between 18 to 28 years of age. SC/ST candidates will get age relaxation of 5 years, OBC candidates will get age relaxation of 3 years and PWD candidates will get age relaxation of 10 years. • Fire Engineer: The selection will be one on the basis of written test and interview. • For other posts: The selection will be done on the basis of written test and Trade/Skill test. • SC/ST/PWD candidates do not have to pay the application fee. For more information, the candidates should check the official notification on the official website.